To create an inviting outdoor space in a walled in space next to a hotel reception. 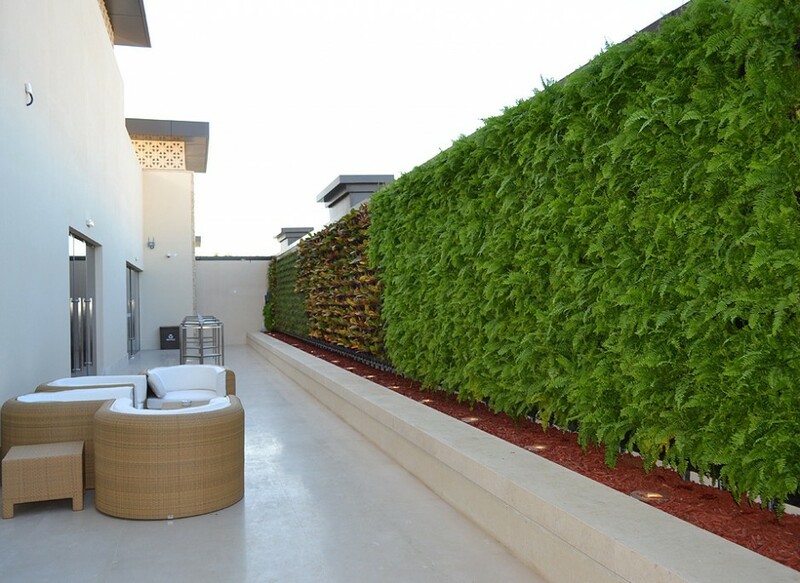 The demanding weather, which is extremely hot, and the need to maximise the available space led to a solution where plants are the main element to a comfortable area. 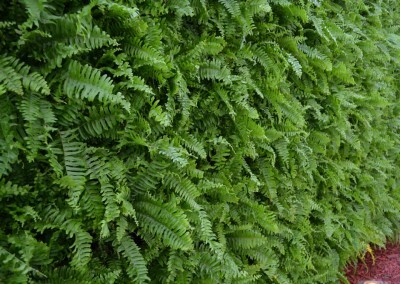 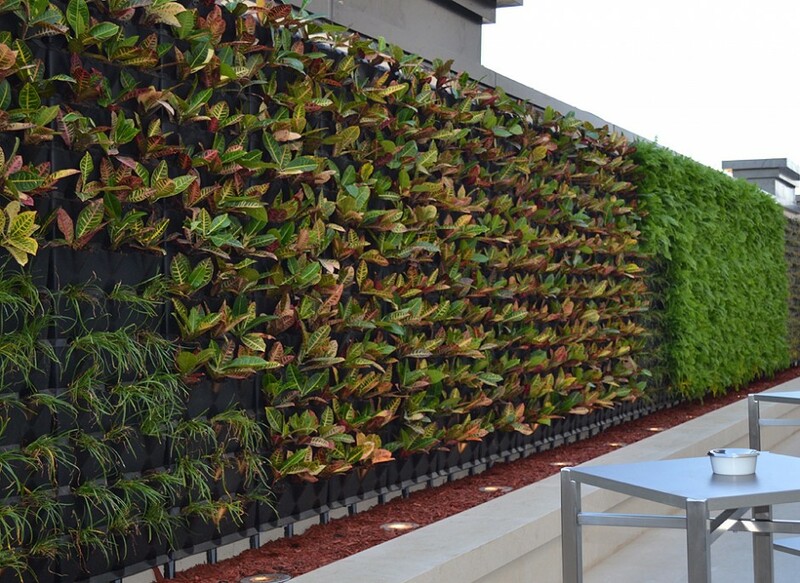 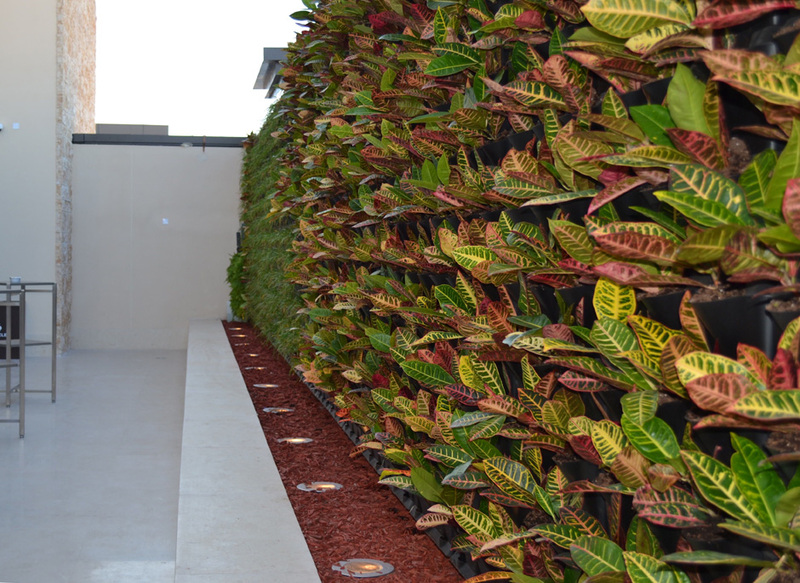 The vertical garden which covers the bordering wall is the key feature in this room. 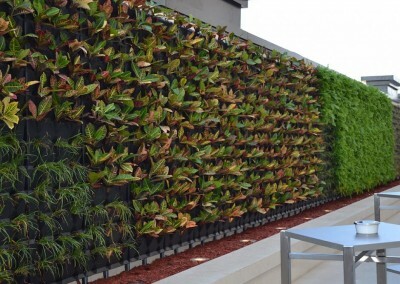 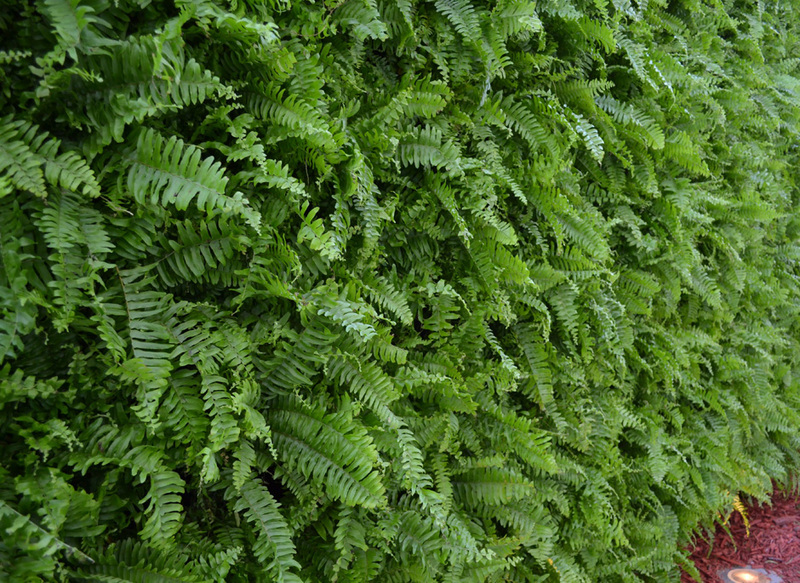 Instead of the massive lacklustre wall, there’s a lush vertical garden whose aesthetic effect and freshness create a green oasis. The silence and end-of-day refreshing feel are inviting and the amount of space is not diminished.